LAKE CHARLES – Micah Goulas carded a pair of below-par rounds to finish at 3-under 144 for the day while Triston Elston and Charlie Flynn each posted rounds of 4-under 68 to lead the Louisiana Ragin’ Cajuns golf team after the first day of the 2019 Lake Charles Toyota Invitational on Monday at the Country Club at the Golden Nugget. The final round on the par-72, 7,007-yard course is scheduled for a 9 a.m., shotgun start. Louisiana, which posted scores of 6-under 282 and 2-under 286 to finish in ninth place at 568, will be paired with Lamar, Stephen F. Austin and Missouri State in the final round. Live results will be available at GolfStat.com. Goulas opened the day for Louisiana with a 2-under 70 before carding a 1-under 71 in the second round to finish at 141 after 36 holes. The junior overcame a rough ending on the back nine, that included a bogey on No. 17 and double bogey on No. 18, to open the front nine with an eagle on the par-5, 506-yard No. 1 before adding a birdie on the par-5, 535-yard No. 5. Elston carded a bogey-free, 4-under 68 in the opening round for the Ragin’ Cajuns before posting a 2-over 74 in the afternoon. After shooting a 75 in the opening round, Flynn came back with his lowest round of the year, birdieing five of his remaining 13 holes, including a 3-under 33 on the back nine. 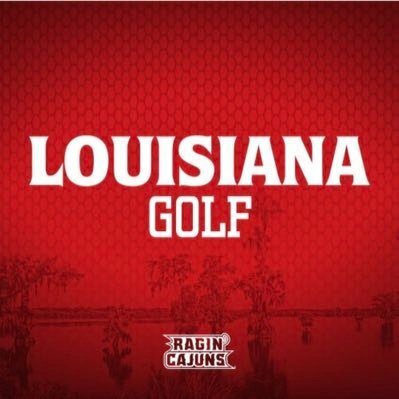 Bjorn Gudjonsson (71-75-146) and Cole Kendrick (73-73-146) rounded out Louisiana’s lineup, combining for 15 of the Ragin’ Cajuns 33 birdies on the day. No. 43-ranked TCU opened the day with a blistering 19-under 269 in the opening round before posting a 17-under 271 in the evening to finish with a team score of 540 and take an eight-stroke lead over No. 10 Texas Tech (548). ULM (557), UTSA (558) and Texas State (562) rounded out the top five with host McNeese (563), Little Rock (563), No. 18 Arkansas State (567), Louisiana and Lamar (569) finishing sixth through 10th in the 18-team field. Texas Tech’s Sandy Scott, ranked No. 24 in the country, fired rounds of 64 and 65 to finish at 15-under 129 after 36 holes and claim a one-stroke lead over David Ravetto of TCU.